Please note there are 2 versions of foam available for the VW T4. Please check the measurements below to make sure you receive the correct foam for your vehicle. The overall length of these foams is 56cm and the horizontal seam across the center panel is 36cm from the rear edge or 18cm from the front edge. 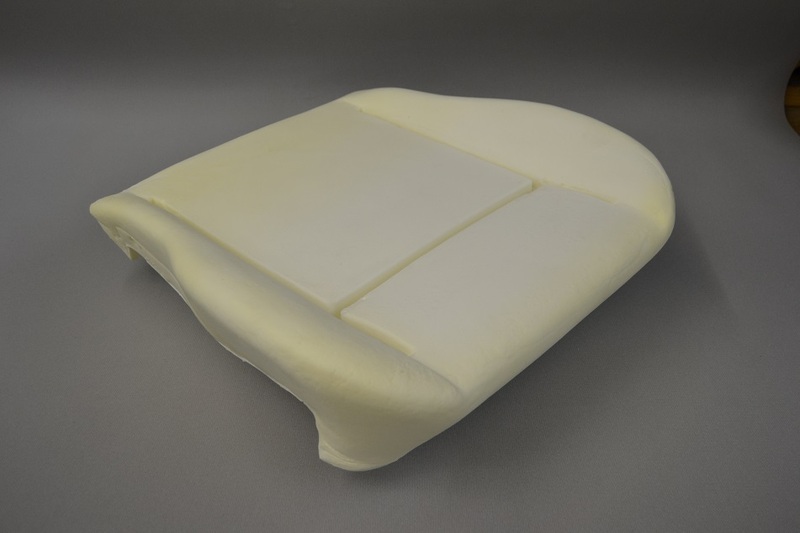 Manufactured in Germany these high quality replacement seat foams are perfect for restoring the seats comfort and integrity. Seat foams are sold individually so order 2 for a pair of seats.